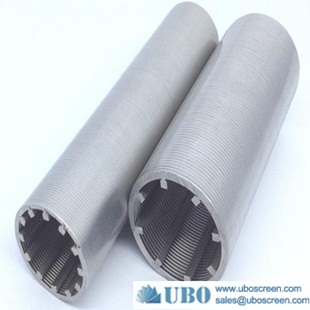 stainless steel all-weled wire wrapped Screen consist of V-shape profile wire and the longitudinal support rods. 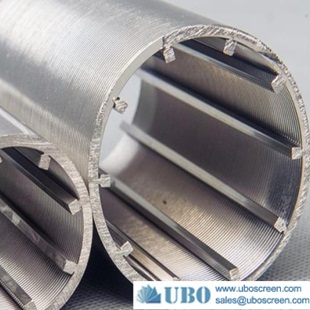 Each intersecting point of these wires is fusion welded, so stainless steel all-weled wire wrapped Screen has sturdy constriction and good mechanical property. The V-shape section plane can avoid blockage and make sure of the unimpeded water. 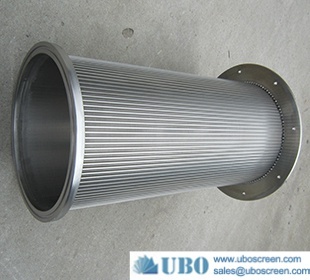 The consecutive slot have more open area, and it can reduce the speed of the water entering to avoid the sand entering the wrapped Screen under the great pressure, so it can filter sand better. 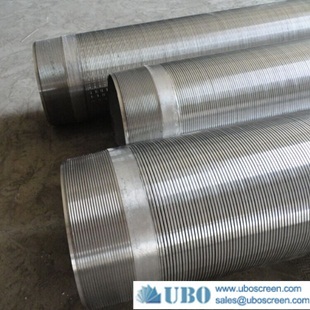 Meanwhile, the slot of stainless steel all-weled wire wrapped Screen can change according to the real condition of the earth. 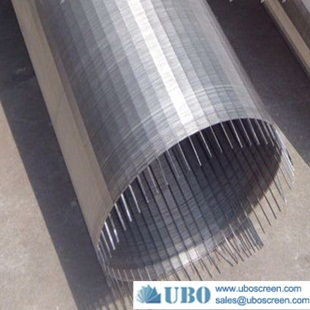 Welded-wire wrapped screen used in the oil, gas and water wells, through the gravel to prevent formation sand in order to protect the underground and ground equipment, to ensure normal production and extend the purpose of the production cycle. Is the oil industry's advanced eye sand control tool. Procedures is simple, good permeability, are not affected by temperature, long life, reliable, effective, and low cost. 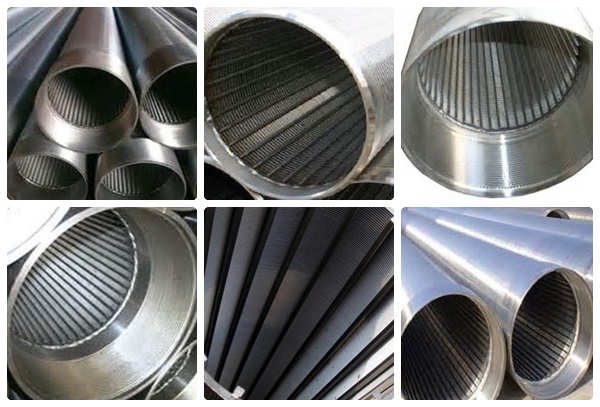 Material: low carbon steel wire, galvanized wire, 302, 304, 304L, 316, 316L, stainless steel wire. Connection method: flange connectors, solder ring fittings and threaded connection. 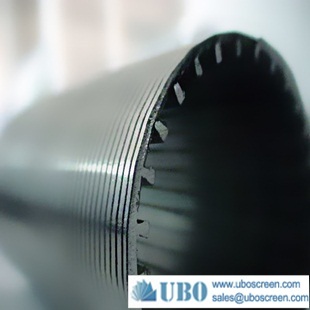 UBO's screen specifications, user may act according to the existing series order, also according to special orders that are needed. 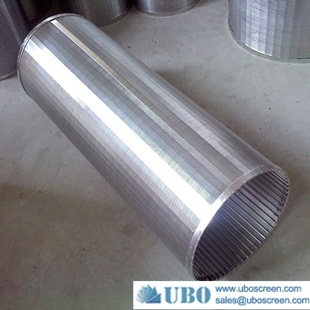 Fully-welded-wire wrapped screen can be made into single or double, after flattening, the single layer of wire wrapped screen sieve plate that can be made into various shapes. 1. 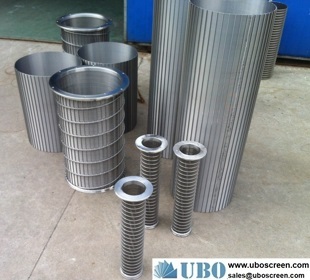 OD(outside diameter): usually 6-5/8” 7” 8-5/8” 9-5/8” 10-3/4” 12-3/4”by our customers’ requirements. 3. Slot size: given by customers. 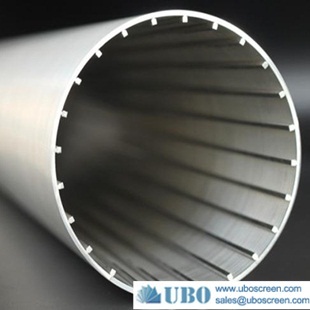 We can do 0.05-2.5mm. 4. Open area: a maximum open area of 60% is offered facilitating high flow capacity and low inlet resistance resulting in extended well life. 5. Wire and rod dimensions: obtained through well depth, or collapse strength and tensile strength, which are furnished by customers. 6. 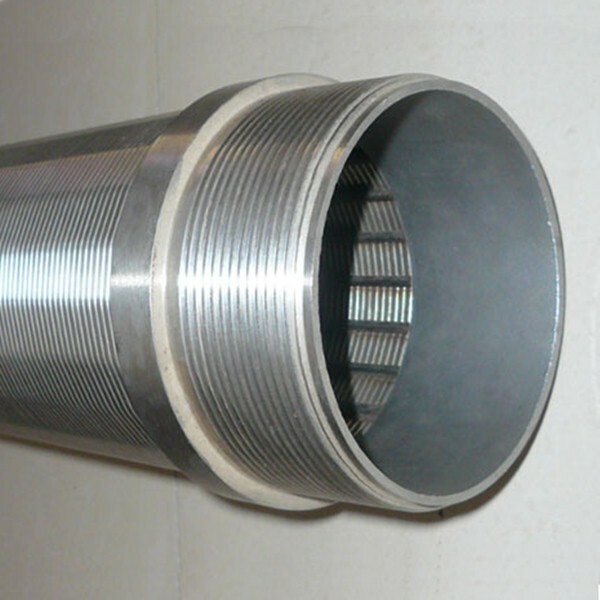 Connection types: usually STC threads or a passage of welded ring (plain end or beveled end), both of them are welded together with the portion of screen. 7. Unit length: we suggest 2.9m or 5.8m, to fit the container.